Penn is clashing with the competition after the release of their new “Clash” line of spin reels. Featuring a Full Metal Body on the outside and CNC machined gears within, the Penn Clash spinning reel paints a picture of balance from the get go. Priced at a point that’s not too far of a stretch from the similar Penn Battle II, the Penn Clash 6000 offers a step up in technology and performance. Penn’s Clash does well by offering fishermen a range of 7 models to choose from. Starting at it’s lightest reel, the Penn Clash 2000 weighs a light 8.2 ounces and is rated as low as 240 yards of 4 pound monofilament line. Not quite ultralight, but coming close to it. Moving up to the Clash’s largest offering in the CLA 8000, we get a reel that weighs a heavier 27.2 ounces and can hold up to 230 yards of 30 pound mono line. 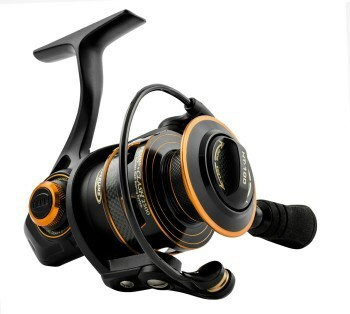 The common features shared by all reels in the line are the use of 8 bearings + the extra anti reverse bearing. The handles can be attached in the left or right handed position. They also all use Penn’s patented HT-100 carbon fiber drag washers in a front drag system. For full line specs check our chart below. Full Metal Body – Metal bodied reels are made to eliminate twist that can occur in hard plastic reels when larger fish apply added force. Computer Numeric Control (CNC) Gears – Precision machining makes the gears match perfectly every time resulting in a smoother retrieve. Leveline Oscillation System – Keeps the spool balanced while spinning resulting in even line wraps on the retrieve. HT-100 Carbon Fiber Drag Washers – Penn’s patented drag washers provide top of the line technology to Clash drag systems. 8 Sealed Stainless Steel Bearings – If you want smooth it takes more bearings. 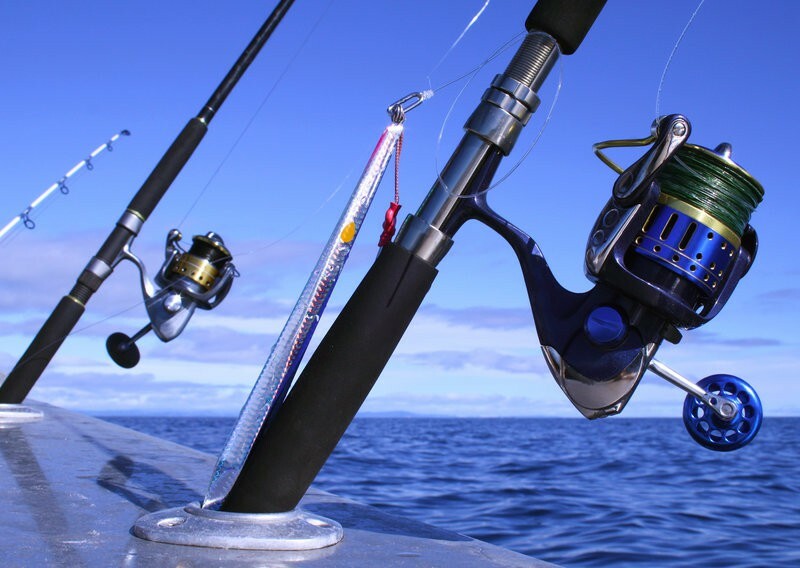 The sealed stainless steel aspect of these bearings make the reel a saltwater special. Strong Aluminum Bail – Bail made of heavy and durable aluminum wire. Anti Reverse Bearing – Prevent backlash and achieve instant hook set with the anti reverse bearing. Line Capacity Rings – Rings on the spool act as indicators notifying you of how much line is remaining. Penn Clash reels are also built with another patented technology they call Dura-Gear. The CNC machined gears used in this system have a longer life than their counterparts without it. The Clash may be lacking the special casting features of the Sharky II or the free spool option of the Okuma Avenger Baitfeeder, but it surpasses them in the basic functions you’d want out of a quality spin reel. Functions like durability, bearing count, gear system, and hard metal body make the Clash excel in reel fundamentals. The value of the Penn Clash reel resides in its attention to the basic parts of a reel that really matter. Instead of charging you for bells and whistles, Penn puts the money into the foundation and fundamentals. This means you get a quality reel with a price tag that doesn’t include unnecessary extras. Having a range of 7 models to choose from is another smart move by Penn. 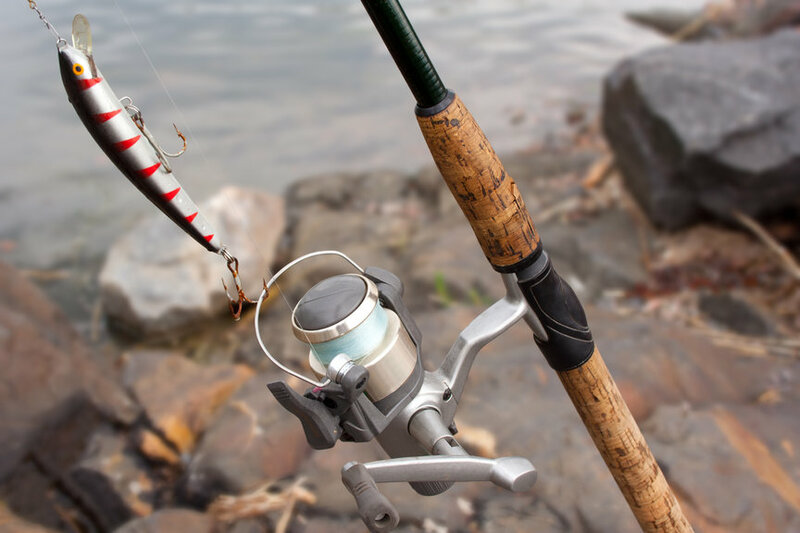 Offering fishermen such a wide variety of uses in the same line of reel makes the Clash a popular choice for targeting hundreds of different fish species. Having 8 sealed stainless steel bearings makes the Clash smooth and also saltwater versatile. It’s use of a hard metal body with CNC machined gears adds to the creation of a precise yet sturdy reel. These parts combined with the Dura-Gear and Leveline Oscillation technologies wrap up a well built reel. Add in the HT-100 carbon fiber drag washers used in its front drag system to seal the deal. Issues have been reported about uneven line lay. These reports are correct, though for an intentional reason and the result is both a pro and a con. Shim washers inside the spool can be added or removed to achieve proper line lay depending on the kind of line you’re using. This allows you to use any line you want with precise lay, but it also requires internal reel maintenance to achieve those desired results. The Penn Clash may be well built, although that is about all you get. No special features are added to the fish catching capabilities of this Penn reel. Despite the large range of 7 models, the Clash isn’t offered in an extra light or extra heavy edition. As an avid angler who enjoys different styles of fishing, I can appreciate the qualities of the Penn Clash spinning reel. Although we enter the class of sub $200 reels, the value comes through in durability and performance. The Clash is a reel designed for the beginning angler who is ready to start putting some quality time on the water. It’s not going to break the bank, and it will provide continuous and steady use. Whether put to fresh or saltwater use, if properly maintained the Clash will last and work for years while other reels break down. Click to see our other Penn Reviews. Battle, Battle II, Spinfisher, Conflict and Fierce II. So in all of these reels which would be the best one for offshore salt water fishing. Looking at fishes ranging from 5lbs to 40lbs ?? I own an Penn Clash 3000, and with it’s smooth drag system and high-quality components it is ideal for casting from either the shore or a boat. It is light enough to not tire you out too much after a full day fishing yet sturdy and has plenty of power for muscling in big fish. If you are jigging however, I would go with the 5000 for the higher drag setting as well as the increased line capacity.